A scenic picture taken of Mt. 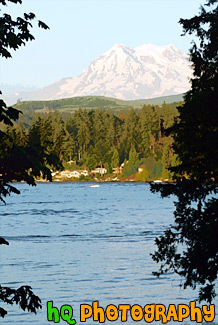 Rainier through trees and with a lake in the foreground. Mt. Rainer is one of the most famous landmarks found in western Washington.